With the growing awareness of the importance of innovation in pharmacy, Chinese pharmaceutical companies are gradually moving beyond low-value generic medicines for innovative drugs made in western countries. Israel has top innovative pharmaceutical companies in the world. Today, the nation has a striking concentration of innovative people, a culture of promoting experimentation and a spirit of the thriving entrepreneurship. Given the facts that Israel has highly transparent legal system and stable investment environment, Israel has become a hotbed of pioneering technologies, profitable business opportunities, and high investment returns. At the same time, Israel has limited domestic market. Israel is willing to export its innovative pharmaceutical technology and medical equipment to the larger Chinese market. 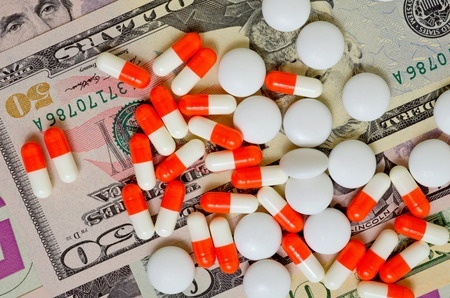 These pharmaceutical transactions are win-win situations for both nations. Following are the three recent transactions between Chinese and Israel companies in the last year. On October 30, 2014, WuXi PharmaTech, one of the world’s largest medical research companies in China, branched out geographically by opening a representative office in Tel Aviv, Israel. In addition, WuXi will collaborate with Pontifax, an Israeli venture capital firm specializing in life science, to invest in Israli companies with promising technologies, especially those that could add to WuXi’s contract research organization services. WuXi has nearly 2,000 customers using its platform to develop and test new medicines. The company’s origins are in China, where it was established in 2000, and it now has extensive operations in the US, after it acquired Minnesota-based AppTec labs in 2008. The company’s services for the biopharmaceutical and medical device industries include testing, contract research and development, as well as pharmaceutical manufacturing services. Tomer Kariv, CEO of Pontifax said: “We welcome WuXi’s presence in Israel and believe the new representative office will be mutually beneficial to Wuxi and the Israeli biotech industry. On November 5, 2014, Guangxi Wuzhou Zhongheng invested $3 Million and acquires 5% stake in Israeli company Integra Holdings. Within one month, on December 3, Guangxi Wuzhou Zhongheng invests $ 5 Million in another Israeli pharma company Oramed. Guangxi Wuzhou Pharmaceutical Company is a producer of pharmaceuticals such as cardiovascular drugs, medicine for bruises, gynecology medication and other general drugs. The company is a subsidiary of publicly traded investment holdings company traded on the Shanghai Stock Exchange – Guangxi Wuzhou Zhongheng Group (SHA:600252). Integra Holdings is a unique venture fund focusing on an exclusive selection of biotech companies with proprietary solutions and a competitive advantage in their respective fields. Integra holdings takes a hand-on approach by providing its portfolio companies with the strategic planning, business development and R&D guidance they need to bring their technology to the market. “We are pleased to have Guangxi Wuzhou join as an investor that can also assit us in introducing biotech products and technologies based on research performed at the Hebrew University to the Chinese market,” stated Yaacov Michlin, CEO of Yissum and Chairman of Integra Holdings’ Board of Directors. Oramed Pharmaceutical Inc., a technology pioneer in the field of oral delivery solutions for drugs currently delivered via injection. Oramed’s protein Oral Delivery technology is based on over 30 years of research by top scientists at Jerusalem’s Hadassah Medical Center. “We are pleased to have Wuzhou as a new shareholder,” noted Nadav Kidron, Chief Executive officer of Oramed. “China offers a substantial market opportunity for our diabetes focused pipeline… and Wuzhou can help strategically guide our development and commercial entrance into China. Haisco Pharmaceutical Group, established in 2000, is a publicly traded company Listed on Shenzhen Stock Exchange. Haisco ranks third in size in China’s chemical pharmaceutical industry. Haisco’s products are sold to more than 3,000 hospitals throughout China with annual sales of over US $800 million. MST is a privately-held Israeli company founded in 2005 with the mission of bringing image guidance technology to the surgical suite. The investment is primarily earmarked for expanding marketing and sales of AutoLap in China, noted by Motti Frimer, MST’s CEO. Autolap has been very well received by surgeons and healthcare providers. “We see great potential for AutoLap in China and look forward to applying our know-how experience in bringing this exciting surgical tenology to the China market to the benefit of patients, surgeons and hospitals alike” stated Haisco’s CEO, Wang Junmin. WuXi PharmaTech Expands to Israel: Collaborates on Israeli Investments, ChinaBio Today, available at: http://www.chinabiotoday.com/articles/20141030 (Oct 30, 2014). Integra Holdings Closes $3 Million Investment from GuangxivWuzhou Pharmaceutical Group, available at: http://www.integra-holdings.com/integra-holdings-closes-3-million-investment-from-guangxi-wuzhou-pharmaceutical-group/ (December 9, 2014). ORAMED CLOSES $5 MILLION INVESTMENT FROM GUANGXI WUZHOU PHARMACEUTICAL COMPANY, available at http://www.oramed.com/oramed-closes-5-million-investment-from-guangxi-wuzhou-pharmaceutical-company/ (December 3, 2014). China’s Haisco Pharmaceutical To Invest In Israeli Medical Device Company MST, Lanta Capital Israel Tech Blog, available at (July 7, 2015).